Get yours now! 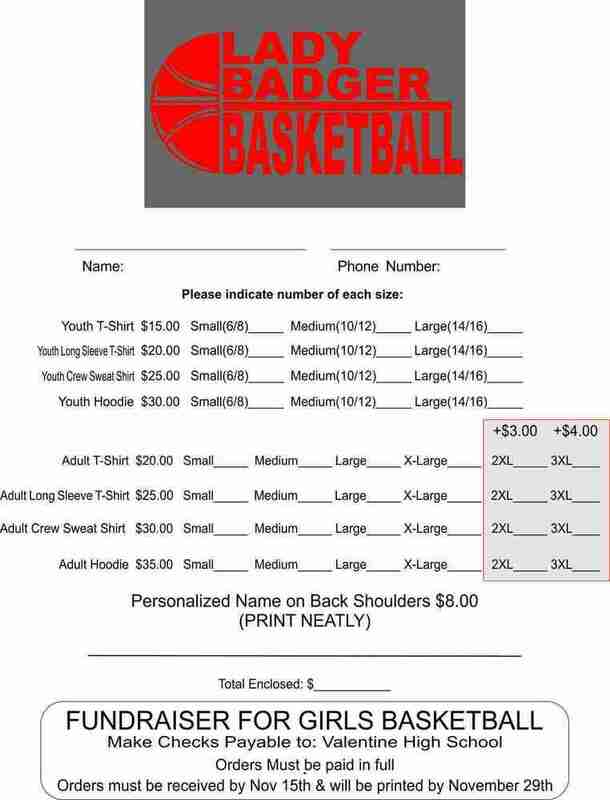 Valentine High School Lady Badgers Basketball team has t-shirts for sale now through November 15th. Please fill out the attached form and return to either the high school or middle school by 11/15. This is a fundraiser for the girls basketball team, please help support our Lady Badgers!